I purchased my first pair of Clearly glasses back in 2012 (formerly Clearly Contacts) and featured my small collection of specs here, which has since expanded. Though my prescription has changed considerably and none of those glasses are functional anymore, the brand continues to thrive. With its stand-alone store on Queen Street West in Toronto, I pass by Clearly's beautiful display of glasses every day on my way to work. It was a very exciting day when I was approached by Clearly to try out a new pair of glasses to review. I decided to go with the stunning LOVE L7003S Tokyo Tortoise frames which are sold online and in-store for only $80. Another pair available is the LOVE L7001S ($75). I also got Thin Air Sunglass Lenses in Solid Grey. Like always, I was impressed by the quality of these glasses given the low price of $150 with my simple prescription. 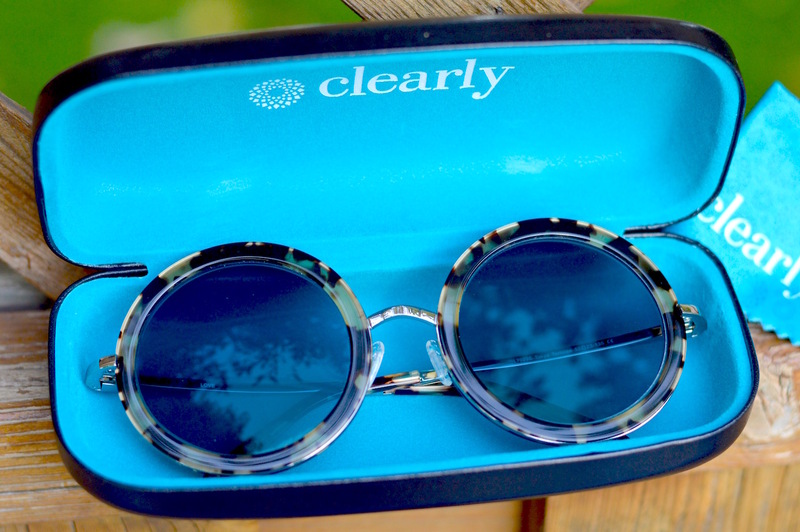 Each pair of Clearly glasses comes packaged in a beautiful blue box with a hard case, cleaning cloth, and tiny screw driver for repairs. They offer free shipping and returns. 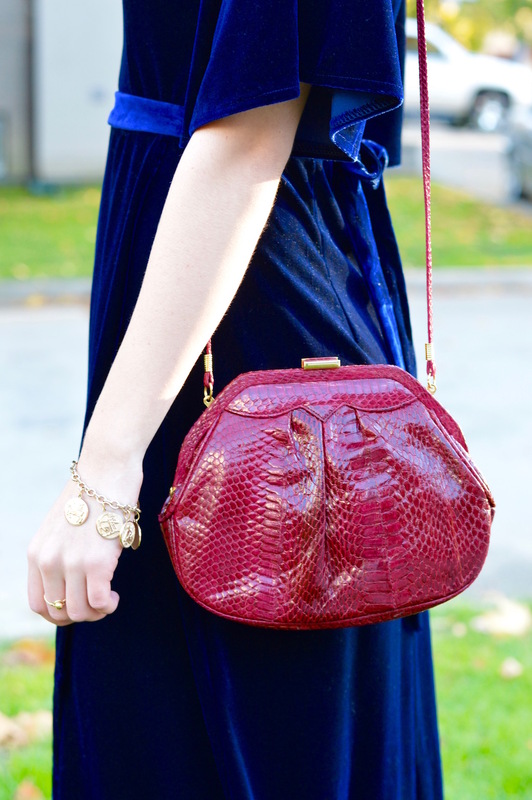 This faux snakeskin bag was an amazing vintage find that I always enjoy using for events. 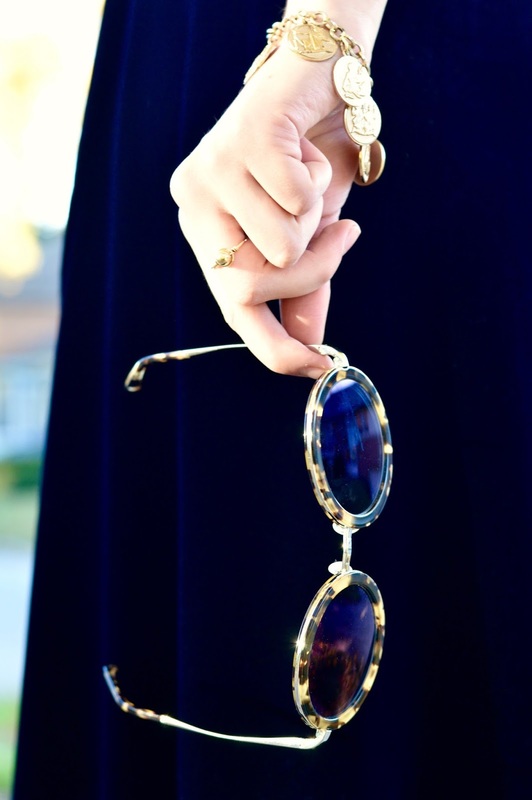 The seashell shape fits just enough, and the gold details go hand-in-hand with these fashionable frames. 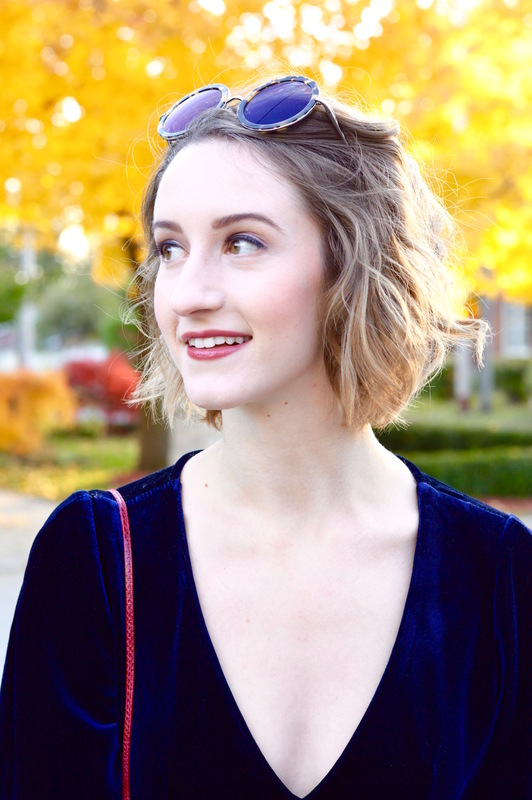 My dress is by the brand Evie from FiveOSeven Clothing on Queen West. My lip colour is Shiseido's Lacquer Rouge in RD529 Tango ($32). It has the most incredible pigment with balm-like moisture, and comes in a convenient lip gloss format. For more makeup tips, see my "Makeup for Glasses" tutorial featuring my favourite pair of Clearly glasses here. Shop online or in-store with Clearly to find your best eyewear for the season.